When one thinks of Lebanon, one does not usually think of desert. ‘A Field Guide to the Wildflowers of Hima Fakiha and the Adjoining Region’ is a text on the plants found in the semi-arid part of the country. This region has been little studied biologically, especially from a botanical point of view. The guide is designed for graduate students, professional botanists, and conservation biologists, as well as herbalists, amateur naturalists, and laypeople alike. The book will be launched soon in 2015. 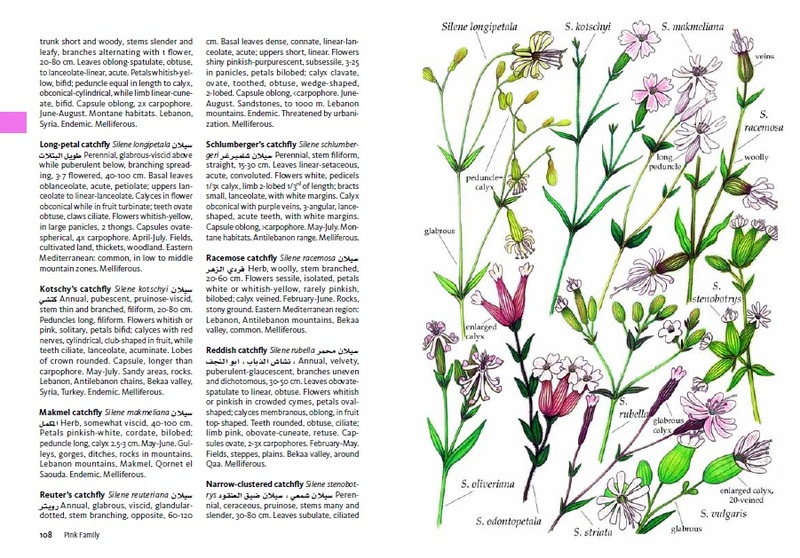 The field guide grew out of field research conducted by the author and illustrator, Husein Ali Zorkot, in 2013 that identified 143 herbs and forbs and more than 200 species of plants. The author carried out a floristic survey using a quadrat approach. Differences were observed in the flora composition and phenology between the Orontes river valley and the Antilebanon mountains and Bekaa steppe. Moreover, the Antilebanon was found to have a significantly higher number of endemic species. As such, the author suggested establishing an Important Plant Area (IPA) in the hima as well as limiting grazing to traditional levels, as ways to preserve the fragile ecosystem and boost plant biodiversity. This book is perhaps the first of its kind to treat the flora of this region, which includes Hima Fakiha as well as much of the Bekaa plain, the Orontes river valley, as well as the eastern slopes of the Lebanon mountains and the western side of the Antilebanon range. Many of these plants are well-adapted to xeric habitats and are not found anywhere else in Lebanon. This book will be a definite resource to those with an interest in arid and semi-arid environments and desert plants. Furnished with more than 200 color plates with arrows identifying important morphological characteristics, this guide is oriented towards quick and efficient field plant identification. 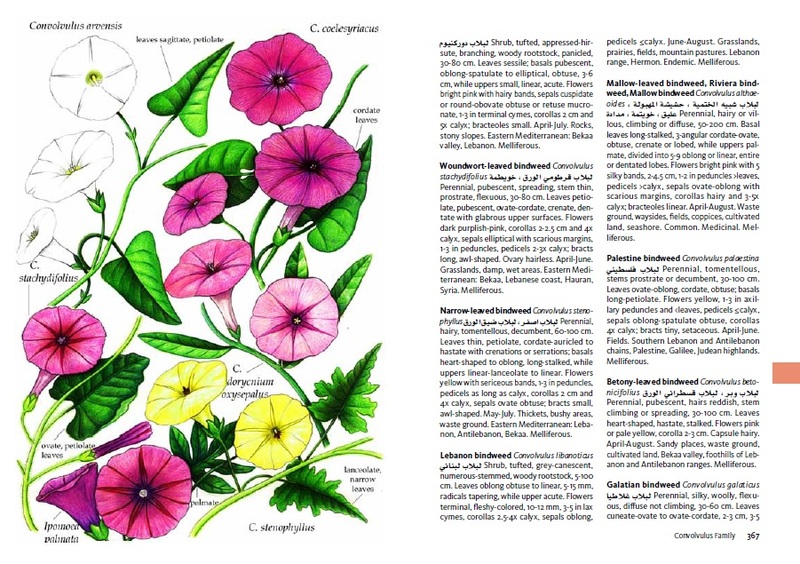 A key to plant families, as well as a comprehensive glossary of phytographic terms are included. Each species is adequately described in its own entry. Details are given about the morphology of roots, stems, leaves, flowers, and other structures. Plant type, life cycle, and flowering time for each species are included, as well as habitat type, geographic distribution, endemic status, medicinal properties, and herbal lore. 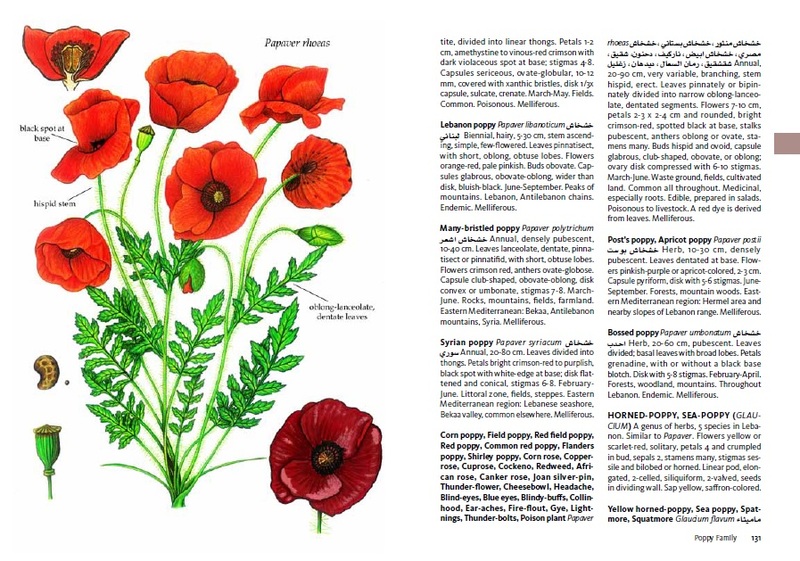 Thousands of common and Arabic names are to be found in the book. Furthermore, vernacular names as they are known to the local population are included throughout the text. Thanks should be given to ecological expert Assad Adel Serhal, SPNL Director General and BirdLife International Global Councillor, as well as Mrs. Bassima Chafic Khatib, SPNL Assistant Director General, for their help and enthusiasm throughout the writing of this book. Thanks should also be given to Pascal Abdallah, Hima Fakiha manager, for his role as liaison between the municipality and the author. The author is grateful to Mr. Ramzi Kamel Saidi, SPNL President and Managing Director of SARI-Lebanon, for his wisdom and help in proofreading. The author also thanks the artist Karim Farah for his wonderful book design. The printing of this book was made possible by the generous funds of the Critical Ecosystem Partnership Fund (CEPF), and will serve to promote nature conservation in Lebanon. Hima Fakiha contains a very important and fragile xeric ecosystem in Lebanon, and is a stronghold of endemism. The threats of overgrazing, erosion, and desertification are all too real. One way to combat these threats is to appreciate the region’s floral biodiversity. This field guide is intended to do just that by being a reminder of our obligations to our green planet, so that our efforts in nature conservation will someday lead to fruition.